Even in advance of its print campaign, Zizzi has just released its summer 2012 videos - two of them, and I'm happy to say that they both feature gorgeous Valerie Lefkowitz. One always wishes that Valerie were fuller-figured, but she does appear somewhat curvy in these films. In the first video, the outfits are not form-fitting, but they are sleeveless, so they show off her gorgeous arms, which do exhibit a touch of soft roundness. This clip shows making-of footage from an in-studio shoot, and Valerie clearly has a lot of fun, dancing around the set and generally being playful and delightful. The second video is much more beautiful, as it was shot on location. It shows behind-the-scenes footage from what is sure to be a truly gorgeous campaign. Valerie looks especially pretty in this video. Her portion of the film begins at 0:52. The outfit at 1:22 embraces her hips and thighs, which are the curviest aspects of her physique. It's a pleasure to watch her dancing along the beach as the sunlight illuminates her golden tresses. Very fine videos from Zizzi, as always. I look forward to seeing the still images that these shoots will yield, especially the pictures from the beach setting. 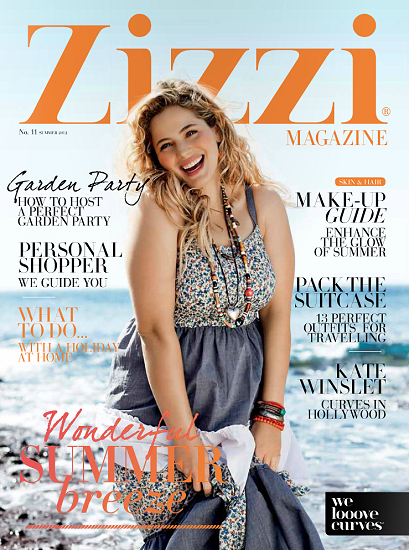 Zizzi has now published its summer magazine, featuring a number of captivating editorials showcasing Valerie Lefkowitz. To her great credit, Valerie looks softer and fuller in this publication than in several seasons. 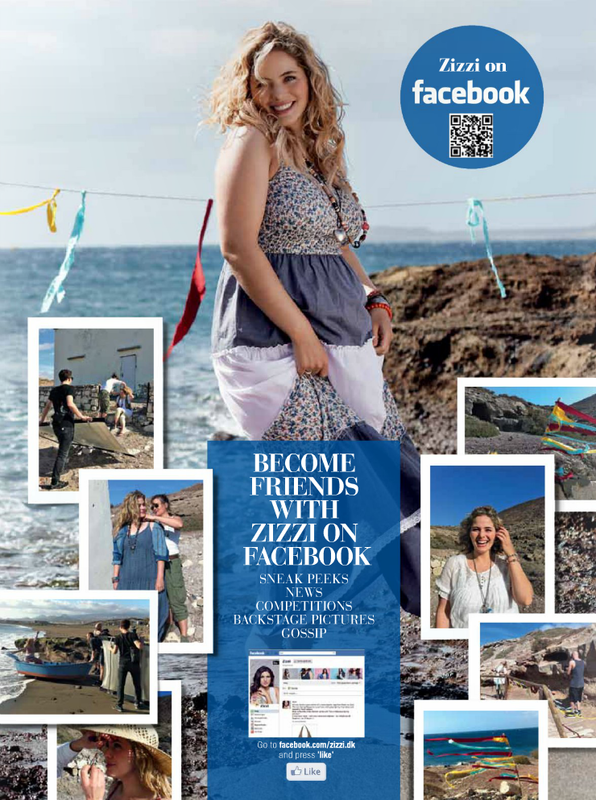 Add to this the fact that the outfits are summer-oriented and therefore frequently sleeveless and body-conscious, and the result is Zizzi's most beautiful campaign to date. The magazine introduces its pro-curvy sensibility immediately on its glorious cover, showing Valerie in a sleeveless dress that bares her soft, rounded arms as the waves ocean gently roll in on a sunny coastline. That same beach setting provides the backdrop for the most beautiful editorial in the magazine, "Wonderful Summer Breeze," which again shows Valerie in a dress that exhibits the fullness of her arms and acknowledges her buxom voluptuousness. Her golden tresses, like the waves behind her, are illuminated by the divine light of the sun. The most dramatic image of this enchanted coastline is the following, which shows the sky radiant with celestial splendour. The model's closely fitted pants define her womanly hips and, thanks to their crimson hue, stand out vividly against the gentle pastels of the setting. The mossy-carpeted boulder to the right of Valerie provides rich colour contrast. The software that Zizzi uses to publish its magazine online alas creates faux shadows along the edges of the pages to mimic the look of a print publication, making an invisible splicing of facing pages impossible. Nevertheless, this dramatic photograph of Valerie strolling along the beach gains from being seen in full. The inset headshot is vivid as well, with the way in which the summer breeze that gives the editorial its title plays with the model's tresses. No mere California beach, this coast is quite romantic, with the rolling ocean waves and the formidable rocks along the shoreline. This image shows Valerie in an outfit that is both feminine, with the white blouse, and organic looking, with the khaki vest and pants. The wooden walkway gives the picture an additional appealingly unmodern touch. The Zizzi team clearly recognized what a treasure it had found in this glorious location, as the following page is devoted as much to the scenery as to Valerie herself--or rather, it expresses the idea that the beauty of the model and the natural world are one. We see here the boat that features in the cover page of the editorial, as well as a dramatic photograph of the pounding surf glowing in the sunlight. Valerie's headshot appropriately has a touch of wildness about it. Turning the cameras from the direction of the sea to the rocky coast, the magazine shows that the rugged appeal of the headland is just as visually impressive as the sandy shoreline. Valerie's blouse is beautifully feminine--which reaffirms the fact that this may be Zizzi's most appealing collection to date. No matter how much appeal there is in the location of this editorial, the model herself makes it come alive, as seen in the following image, in which she successfully communicates the relaxed feeling of a vacation getaway. One can almost feel the sand between her toes. The way in which she casually brushes away her free-flowing tresses is most enticing. Viewers who noted the white hut in the background of the preceding image will recognize its presence in the following image, showing that the photographic team spotted it and considered it a perfect locale for a follow-up shot along the coast, from a higher elevation. Notice how the way in which the model's tresses flow in the breeze is echoed by the fluttering flags just to the right of Valerie, those flags also introducing a welcome dab of colour to the composition and add to the marine feeling of the editorial. Valerie's outfit may not exhibit her figure, but it is perfectly colour coordinated with the landscape and the ocean. Another image of Valerie sitting by this shorefront hut, which has a wonderfully weatherbeaten, authentic look about it, finds her basking in the glow of the sun, luxuriating in its rays like a living goddess. The magical sunlight makes her fitted yellow leggings glow as golden as her fair hair. The lacy trim of her blouse is an enchantingly feminine touch. A close-up of the model shows her in another of Zizzi's beautifully embroidered peasant blouses--the perfect attire for a weekend getaway, or a wonderful way to introduce a touch of romantic femininity to one's day-to-day existence. The fluttering of her tresses testifies to the continued presence of the shoot's eponymous "warm summer breeze." The final image from this memorable location shoot may be the most size-positive of all. It finds Valerie in the same sleeveless dress that she wears for the magazine's cover page, baring her seductive arms, which appear sensually soft and full, attractively untoned, even as her pose emphasizes her generous voluptuousness. The model's expression is as warm and gentle as the late-afternoon sunlight, and her golden tresses tumble about her face in storybook curls. She looks delightful and desirable, the very essence of femininity. Bravo to Valerie for an outstanding campaign, one of the best of the model's storied career. And kudos to Zizzi for creating an ideal plus-size model photo shoot. Every element is present: ultra-feminine, romantic fashions, a model who is gorgeous and genuinely full-figured, and a breathtakingly beautiful setting. 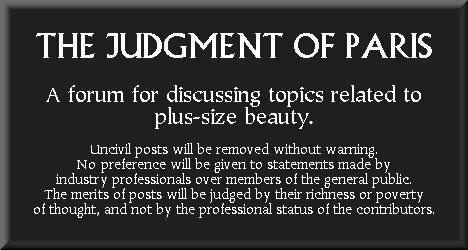 The result is an ideally harmonious presentation of timeless beauty. What a pleasure it has been to view this lovely pictorial of Valerie Lefkowitz! The clothing has the perfect combination of feminine charm and comfort. Only a genuinely full-figured beauty such as Valerie can emit an air of sensuality that is both palpable yet approachable. The intoxicating combination of the sea, the sun and the blue sky, along with Valerie's buxom charms, makes for a thoroughly satisfying viewing experience. Everyone who has been enjoying this breathtaking campaign will be delighted to see that on its Facebook page, Zizzi has posted two complete albums of images from its summer promotions. Better still, some of the images posted online show the full-size versions of the original photos, not just the cropped editions that appear in the magazine. For example, here is Valerie's stunning dancing-on-the-coast photo, which shows her luscious arms. It looks even more dramatic and beautiful with the ribbons, the sandy beach, the waves, and the sea stretching off into infinity behind her. Furthermore, Zizzi has posted a second complete album online, this from an editorial titled "Rooftop Romance." as well as many lively images of Valerie being playful on the rooftops of the coastal village where the campaign was photographed. She looks particularly curvy in this outfit. This truly is Zizzi's finest campaign ever, and some of the most beautiful work of Valerie's career. Breathtaking. Zizzi has now uploaded two more albums showcasing its summer fashions, which are well worth a look for fans of Valerie Lefkowitz. The first is a look book showing many of the label's new styles. Here are a few images that celebrate the model's full, rounded arms. Valerie always exudes so much personality when she models -- here showing off her gorgeous legs. This very blonde hairstyle is so pretty on her. A touch of fullness at the waist. Some of the fashions are very attractive too, such as this pretty, folkloric skirt. The other new album that's a must see is a behind-the-scenes look at Valerie's terrific seacoast shoot. The shoreline and the dramatic sky behind her are stunning. She looks very voluptuous being made up for the shoot. Having fun while posing in the rowboat. Gorgeous images from what was truly an amazing photo shoot, with Valerie looking beautiful once again, at a somewhat curvier size.